Aja is a 10-piece ensemble that recreates the sounds of one of rock’s most legendary and enigmatic bands with stunning precision and energy. Aja has played many shows and developed a devoted following of Dan fans that love to dance the night away to “Reelin’ in the Years” and “My Old School” as much as they love to sit wide eyed and smiling while listening to faithful recreations of “Caves of Altamira” and “Deacon Blues”. 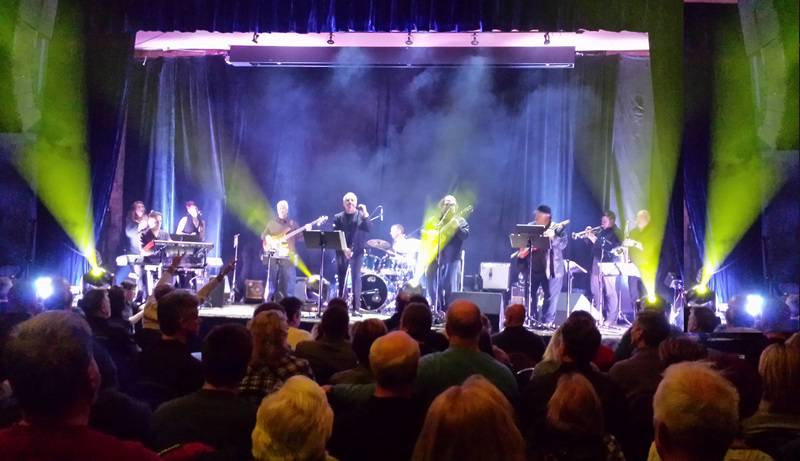 The magic of a group like Aja is that they combine the overwhelming collection of musical talent and skill that comes from a personnel comprised of the most versatile and in demand players in the area, with a tremendous reverence for the material of Steely Dan. This results in an attention to detail regarding the complex and nuanced recordings of the classic Steely Dan arrangements complemented by plenty of freedom to stretch out and bring a personal touch to the material in a live setting. And the fans LOVE it! Aja is available for concert performances and festivals worldwide and can deliver up to 3 hours of Steely Dan classics and album favorites.